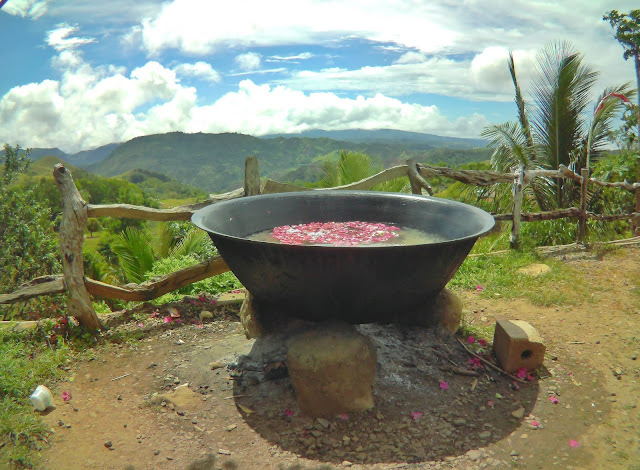 As far as I know, the Kawa Bath became popular in the Philippines because of the Kawa Bath in Tibiao, Antique. Aside from the unspoiled beaches, travelers are going to Antique to experience this kind of activity. 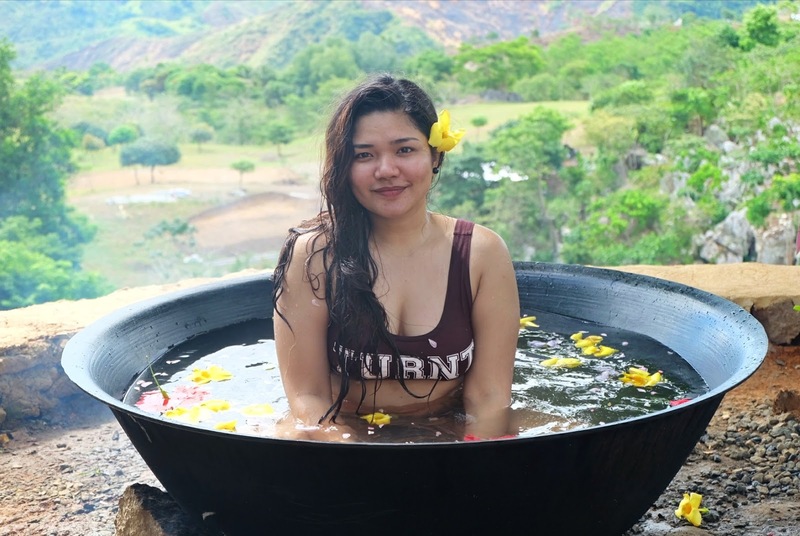 Did you know that there's also Kawa Bath near Metro Manila. Yes, you don't have to spend much money to travel to Antique, you could experience it in El Patio Razon in Tanay, Rizal. 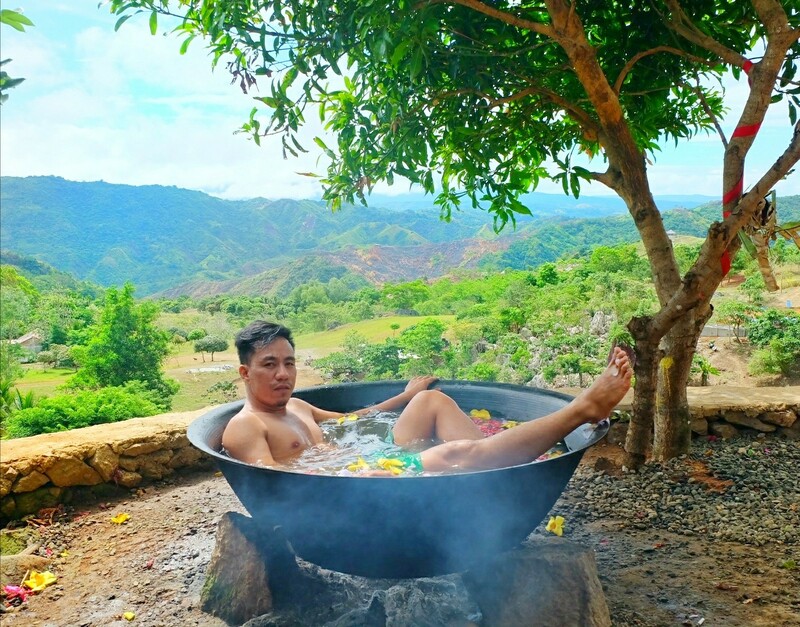 The El Patio Razon is one of the side trips of most travellers after experiencing the beauty of some of the mountains and tourist destinations in Rizal. It will only take 20 to 30 minutes walk or 5 minutes ride from the gate of Treasure Mountain, the nearest mountain in El Patio Razon. Upon entering the gate, we headed to the registration area and we paid P50/pax for the entrance fee and P300 for the Kawa Bath/hour which is good for sharing. The Kawa (a big kettle) takes some time to prepare. They filled it with water and strewn with flower petals and leaves. They burn up wood to heat up the water to your desired temperature. We maximized our time here. We took a lot of photos and videos. The place is for taking pictures only. Yes, it's instagrammable because of the spectacular view of Treasure Mountain. Nothing really so especial here. El Patio Razon has only 4 Kawa Bath, so I recommend to visit the place during weekdays. Expect a long queue during weekends and holidays. There is only one Kubo but it can accommodate up to 25 people. It has only one bedroom but guests may set up their sleeping area anywhere in the house. VIA PRIVATE TRANSPORT: There are two possible routes to take. 1. You can take the MARCOS HIGHWAY. 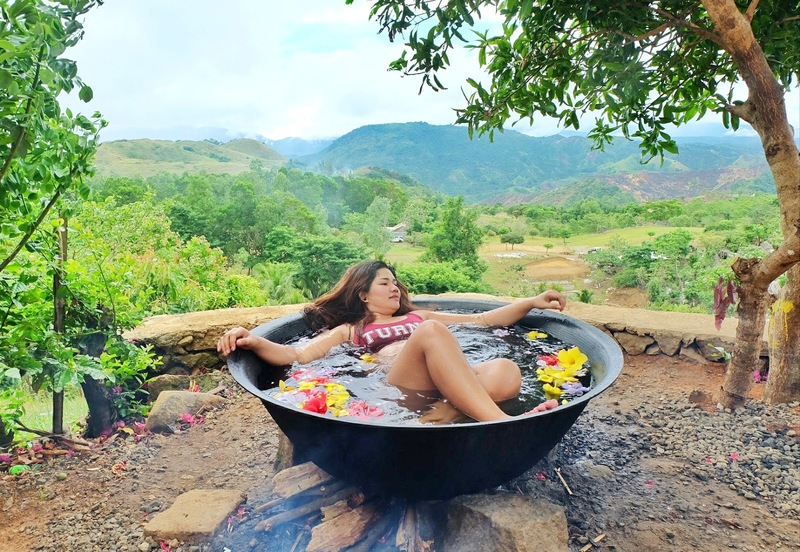 You’ll pass over Masinag, Cogeo, Boso-boso Resort, Foremost Farms, Palo Alto, and Garden Cottages. Treasure Mountain's jump off point is same as the Maysawa Circuit (Mt. Sapari and Mt. Binutasan). From the waiting shed, take a 1.5 kilometers away from Treasure Mountain, go straight and you will turn right as you see their signage. 2. Another route is in Sampaloc, Tanay. You’ll take Sampaloc road and will pass by the street to Daranak Falls. Go straight until you arrive at a junction and then, turn left. You’ll pass by Sierra Madre Resort on your right, Ten Cents to Heaven on your left, then Pico de Pino on your right. As you pass over Pico de Pino, you’re already near so drive a little further. Treasure Mountain will be on your right side. Turn right as you see a waiting shed or the jump-off of Maysawa Circuit (Mt. Sapari and Mt. Binutasan) Similarly, go straight and you’ll turn right as you see their signage.